Between Princes Street to the West, Erskine Terrace to the East and Beach Avenue to the South, Addington, Chief of the Public Works Department - J.S. Cleland, 1929 -1931. The New Children's Block for Addington Hospital was opened in 1931. 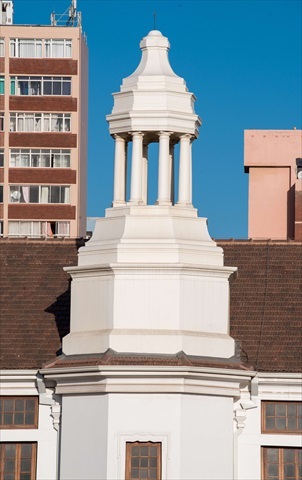 Uniquely, its construction was made possible by the collective efforts of the City, the Province and the People of Durban, each of whom donated one third of the construction value. The building was designed by Chief of the Public Works Department J.S. Cleland who ensured that the scale and design of the building reflected its purpose ie. the healing comfort of children. As part of the drive to make the hospital a happy, cheerful place for its small and often desperately ill patients, many artworks were commissioned by a number of artists, including the late Mary Stainbank, a well known sculptor and artist in Durban. In addition, tiles, plaques and medallions can be found throughout the hospital commemorating donations made following the hospital's opening. 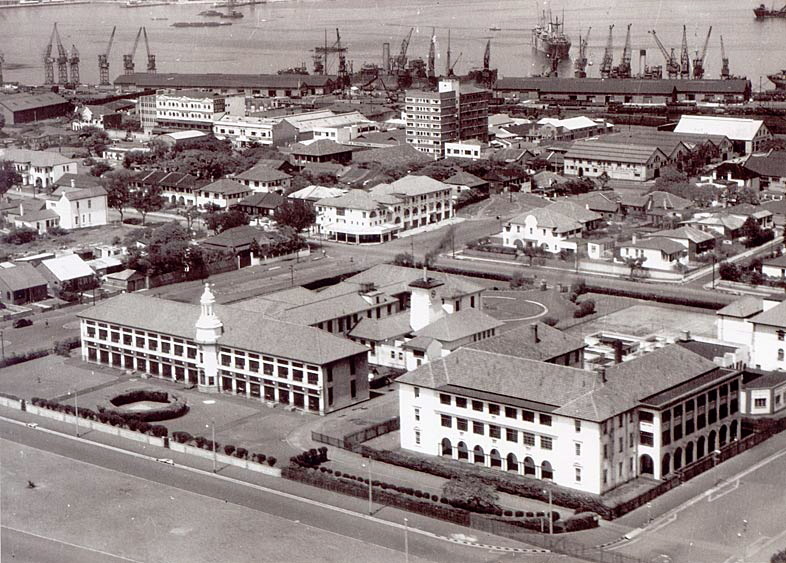 Clearly the Addington children's Hospital was very dear to the hearts of the Public of Durban. The Addington Children's Hospital is situated in the South Beach area of Durban's Point. When first constructed, Erskine Terrace did not exist and the Children's Hospital led straight onto the beach and the sea. Sharing the site with the Children's Hospital is an Outpatient's Department, Nurses' Home and Hospital Museum. The Hospital stands out as unique within its context. It is the only building along South Beach with significant open spaces, low scale and enough charm to carry it all off. It has a unique interface to the beach and was originally designed as a filter for the sea breezes and the entire facade facing the sea consists of double storey verandas with sliding/folding doors. The building was specifically designed to align with the modern medical approach of the time, especially to the treatment of Tuberculosis: Hearty food, lots of fresh air, gentle exercise (the hospital originally sported a playground and tennis court) and beautiful surroundings. The Addington Children's Hospital has enormous intrinsic value in terms of its art and architecture. Its history is bound to the children of Durban. Following many years of abandonment and neglect, it is currently undergoing a radical restoration process.